Fun features aside, Google's Android 5.0 Lollipop release introduces some important improvements to security -- some of which have yet to be publicized. Android security is always a touchy topic. Companies that make money selling anti-malware software love to commission studies that make it seem like we're all on the brink of being infected by big, bad malware monsters -- but in the real world, things are a lot less scary. You know the drill, right? Most Android security stories revolve around theoretical threats that would affect you only if you went out of your way to download something directly from a shady website and then ignored multiple warnings that popped up on your device. Plain and simple, most of the things you read about just aren't real-world issues for regular users. That's been the case for a while, thanks in part to built-in protection like real-time scanning of apps in the Play Store and ongoing scanning for potential threats on devices themselves. Now, with the upcoming Android 5.0 Lollipop release, Google's security setup is growing even stronger. 1. Android security exists in multiple layers -- more so with Lollipop than ever before. In addition to the Play Store and on-device scanning, Android is built around a sandbox-based setup that gives apps access only to a small portion of a device's data. And with Lollipop, the patrols around those boxes will be expanding into new terrain. "[We're] taking it a step further and actually looking for a wide range of potential harmful behavior on the device," Ludwig says. 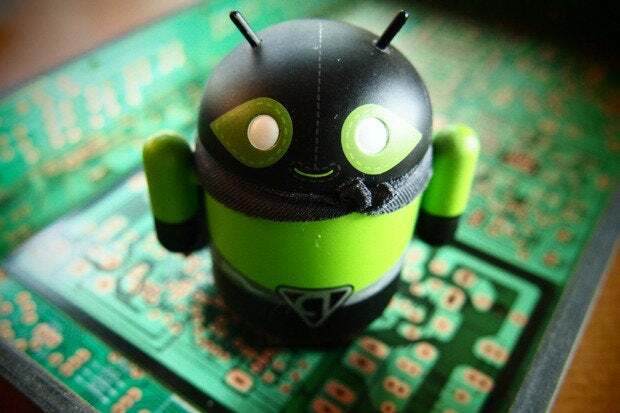 Part of that means Android's security system will now keep an eye out for potentially dangerous websites, whether you're using the default Chrome browser or a third-party program, as well as for harmful activity on your network. Another part of it is a new approach to SELinux, a core element of Android's under-the-hood security arsenal. For the very tech-savvy among us, Android 5.0 switches to a "100-percent enforcing" approach for all apps with SELinux, which shifts every bit of policy enforcement to a kernel-level. In English, the system's security checks will now happen at the highest possible level -- deep within the operating system -- making them stronger yet also easier to monitor. "It's easy for any third-party to look at a device and ... be confident there's not anything going on behind the scenes," Ludwig explains. Lollipop also continues Google's trend of pulling pieces out of Android and maintaining them as standalone apps in the Play Store, thus allowing Google to update them regularly and immediately for all users. This time, a behind-the-scenes app called Webview is getting the a-la-carte treatment. Webview is the rendering engine countless Android apps use to display Web content, so the ability to deliver fast and frequent security patches to it all throughout the year is a significant shift. 2. 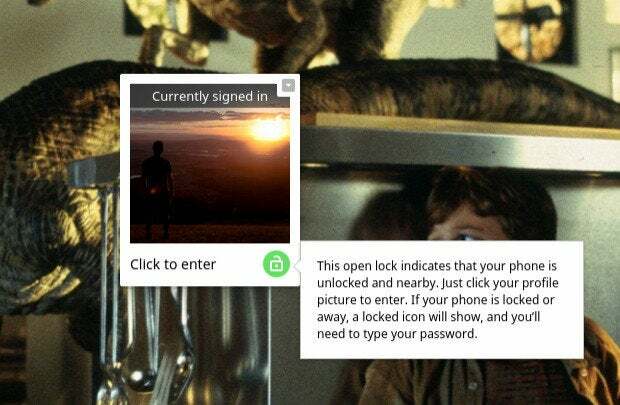 Lollipop has a new new Smart Lock feature -- and it does more than you might realize. Forget the theoretical threats: The real danger for most users is simply leaving a device unlocked and then having someone else gain access to personal data. Lollipop introduces a new feature called Smart Lock to help combat this problem and break down the barriers to keeping your device secure. You may have heard about the Bluetooth element of Smart Lock by now. In short, it works much like the Trusted Bluetooth feature Motorola's been offering on its phones for a while: You can set a specific Bluetooth device, like a smartwatch or car stereo, to be "trusted" -- and then anytime that device is nearby and connected, you won't have to enter a pattern or PIN to get into your phone. If the Bluetooth device isn't in the area, your phone will automatically lock itself and require a pattern or PIN for access. The idea is to offer sensible security without the inconvenience that usually accompanies it. "The existing authentication mechanisms on mobile devices put the user in this perilous position of, 'Do I protect my information or facilitate being able to easily access it?'" Ludwig points out. "With Smart Lock, we're trying to make it easier for users to access their information -- but [to] do so in a secure manner." In addition to the Bluetooth element of Smart Lock, Android 5.0 includes a new NFC option. You could configure a specific NFC tag to work as a key for your device -- say, your employee badge or a cheap programmable NFC keychain or sticker -- and then just tap it to the back of the phone or tablet to quickly bypass the lock screen. Smart Lock is also now home to Android's face unlock feature -- known henceforth as Trusted Face -- which has been reworked in Lollipop and appears to function far more reliably than it has in the past. 3. What we're seeing with Smart Lock now is only the beginning. My big question with Smart Lock was: What's next? If we can keep a device unlocked based the presence of a Bluetooth device, can we expect to see an option to keep it unlocked based on the presence of a Wi-Fi network soon as well? Think how handy that'd be. As you'd expect, Google doesn't like to talk about potential features that might be under consideration for the future, but Ludwig did assure me that more is on the way -- and that Smart Lock will follow Google's ongoing "deconstructed" approach to Android. In other words, the feature will be updated regularly via the Play Store, so its progress won't be limited only to full OS releases. "That allows Google to start thinking about authentication as a service -- something that over time can innovate really quickly and is not bound to the limitations of a full device update or physical hardware modification," Ludwig says. Ludwig tells me that in addition to Wi-Fi, researchers in general have looked at the broader element of location as a way phones could automatically know when they're in a preauthorized safe place. In theory, at least, there's no reason your phone would even need to rely on a Wi-Fi network to know you're at home and thus not in need of additional security (if you so choose). But that's all just conjecture. For now, the only thing that's official is that more options aimed at balancing security with convenience are absolutely on the way. "Our goal is to have this be an area where there's a lot more innovation in the future and we build more and more security without reducing usability of the devices," Ludwig says. 4. Phones with Android 5.0 will be able to keep Chrome OS devices unlocked just by being in the area. We first heard about this back at Google's I/O developers' conference this summer, and it's at long last upon us: If you have a phone with Android 5.0 nearby, you'll soon be able to sign into your Chromebook without ever having to type your password. Google hasn't divulged much in the way of specifics yet, but it appears the function will work anytime your phone is unlocked and in the same general area as the Chromebook -- possibly by way of a Bluetooth LE connection. Google hasn't said if the feature will be widely available right away, but we know it's coming -- and the wheels are clearly in motion. 5. Device encryption in Lollipop is a whole new beast -- one you might actually use. Android has offered the option to encrypt your data for a few years now, but it's never been a terribly user-friendly setup. With Lollipop, encryption is reimagined in a way that actually makes it practical. The key difference is when and how encryption occurs. Right now, if you want to encrypt your Android device, you have to hunt down the option and then turn it on -- which, discoverability aside, means it takes a really long time to process, as the system has to encrypt all of your existing data at once while you wait. With Lollipop, new devices will prompt you to activate encryption when you first power them up. Since it'll be your first time using the device, there won't be much data in place and things will move quickly. And from then on, new data will be encrypted on the fly as it arrives, eliminating all the waiting and the hassle. When you factor in tools like Android Device Manager, which lets you remotely locate, lock, and wipe your phone from any mobile device or computer, the argument for bloated and expensive third-party security suites on Android is weaker now than ever. And that appears to be exactly what Google wants -- to create an effortless out-of-the-box experience that neutralizes the FUD and puts users at ease. "Our goal is to have all users be secure -- not to have them have to install some third-party software or make complicated configurations on the device [just to get] to the point where they're secure," Ludwig says. "We want to have the hundreds of millions of users of Android have security be their default condition." With Lollipop, Google seems closer than ever to making that happen.